One of the most important elements of a song is setting the scene. The scene can either be a physical place, or a point-in-time, but as a listener, I should be able to describe it in some way. For example, if a song takes place during a single hour of a day – as the listener, I should be able to recognize that is indeed what is happening. Some songs transpire over extended periods of time, and because songwriters are told to describe things in great deal, sometimes to the point of the words becoming clunky and giving the lyrics an almost journalistic tone, the song becomes nothing more than a list, and uninteresting. 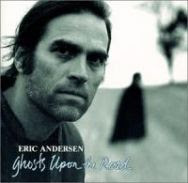 Eric Andersen’s “Ghosts Upon the Road” is a great example of an extremely long song, but one crafted in a way that keeps your attention, with a lyric that never sounds like someone standing in a room reporting events. He finds ways to describe things that leverage the prosody to set a scene tied to emotion throughout. Eric Andersen started his career in the company of Bob Dylan and Phil Ochs, so his songwriting is from an era of change in form. Much like Laura Nyro, he writes to discover something of himself – which is always a good goal to have in mind. The descriptiveness here is eloquent, and reminds me of the poet James Wright and his poem A Winter Daybreak Above Vence. Andersen, like Wright, never judges what is going on around him, i.e., his history. Both record the images that have survived the memory, and do not taint the real events of living with what they think such events mean. Form and content are one in the same. A fourteen line love poem strives to be recognized as a sonnet, whether the poet sees it or not. That is the trick – to see what the thing – poem or song – is trying to become. Andersen’s song is long, and entails a large portion of the speaker’s life. 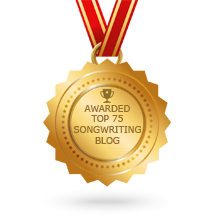 It does not rely on the chorus to carry the song down the page: it is the content, the story, that moves the song in a forward direction, and the repetition of the chorus (formal structure) that adds the resonance, or larger meaning, to the everyday events experienced. Form cannot survive without content, and vice versa! Eerie little dunes on the roof of the house. They are so cold, they might as well be dark. And a man bitterly shifts his broken gears. Mist cluttered with a racket of its own. A square takes form in the side of a dim wall. And of lettuce leaves opening in Tunisia. Appears, pale as a shell. The only life I have. I get up from the stone. On top of the sunlight.